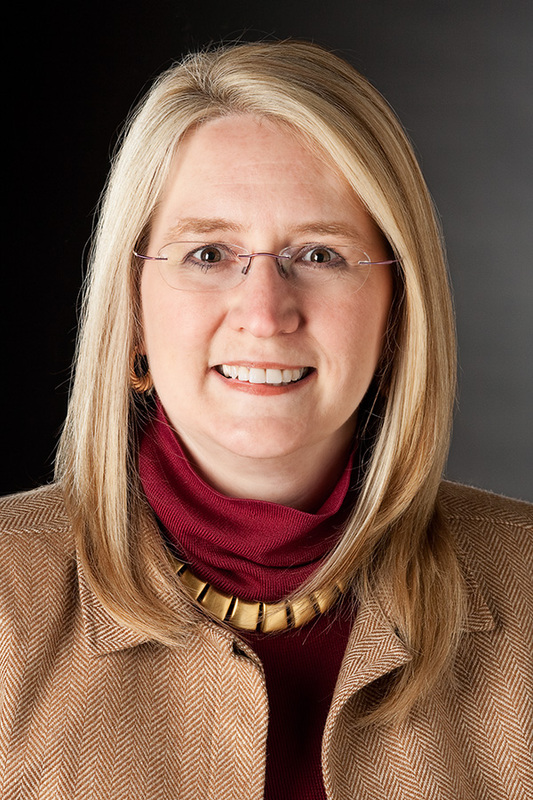 MICHAEL A. VENTRELLA: I am pleased to be interviewing Gail Z. Martin again today! 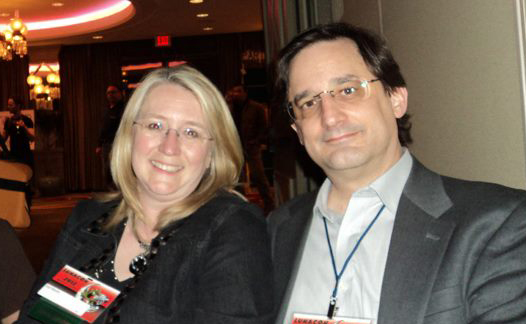 Gail is a good friend and a great writer who has helped me with advice from time to time. Some of her books are available through my publisher, DDP, and we often do DDP book release parties at conventions. Whenever we’re at a convention together, we always end up on at least one panel together, and she’s often been one of my favorite performers in our “Eye of Argon” panels. I interviewed her about six years ago but so much has happened since then. Gail, let’s begin by talking about your new steampunk novel, written with your husband, Larry N. Martin. Tell us about the plot! 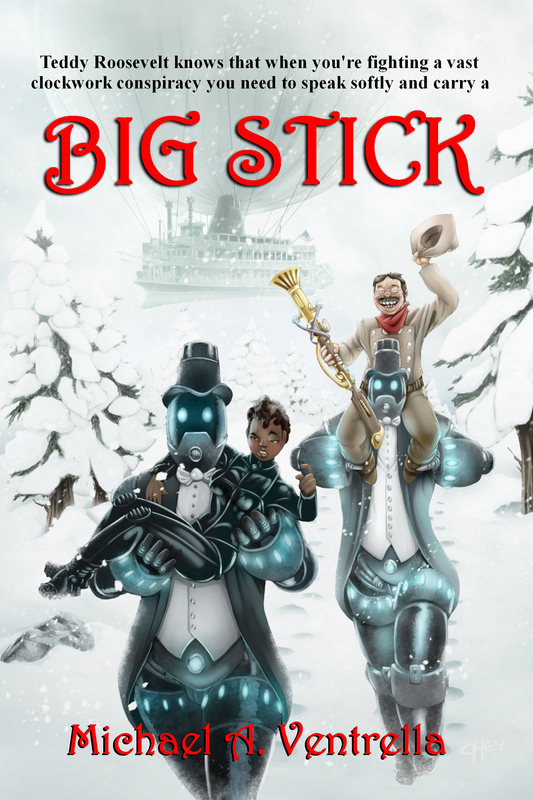 GAIL Z. MARTIN: There’s lot of action, intrigue, industrial sabotage, cool inventions, mad scientists, awesome steampowered gadgets and airships! Jake Desmet and Rick Brand, heirs to the Brand & Desmet Import Company, travel the world to secure treasures and unusual items for the collections of wealthy patrons, accompanied by Jake’s cousin, Veronique ‘Nicki’ LeClercq . Smuggling a small package as a favor for a Polish witch should have been easy. But when hired killers come after Jake and a Ripper-style killer leaves the city awash in blood, Jake, Rick and Nicki realize that dark magic, vampire power struggles and industrial sabotage are just a prelude to a bigger plot that threatens New Pittsburgh and the world. Stopping that plot will require every ounce of Jake’s courage, every bit of Rick’s cunning, every scintilla of Nicki’s bravura and all the steampowered innovation imaginable. VENTRELLA: How did your collaboration work? In other words, did you split writing plots and characters and then edit it all together later or did someone do a first draft that the other revised and so on? MARTIN: We worked out the setting, plot and characters together. Then we passed the drafts back and forth to tighten up, make sure of continuity, and continually brainstorm. We’ve got a pretty good system going! MARTIN: The Victorian era is now beyond living memory. For many people, it’s the era of their grandparents or great-grandparents. So it’s familiar (or at least the TV/movie interpretation is familiar if not the reality), but distant enough in time for us to be able to play with it without offending the people who lived through it. In Europe, it’s also the 100th anniversary of World War I, which was really the end of the old world of the empires that the Victorians worked so hard to build. And it’s an outgrowth of the fascination with shows like Downton Abbey, which show the clothing and societal change (although without the cool airships and gadgets)! VENTRELLA: Why did you pick Pittsburgh as the location for the story? MARTIN: Pittsburgh is the logical place to put an American steampunk story because at the end of the 1800s, Pittsburgh was the epicenter of American steam-powered manufacturing. Pittsburgh in the 1890s was a huge deal, the country’s second-largest financial center, and the home to Robber Barons like Andrew Carnegie, Henry Clay Frick, and the Mellon family. An astonishing number of important inventions came out of the Pittsburgh of that era, and its skies were constantly dark with the clouds of soot from the coke furnaces that drove the mills. In our book, we tampered with history somewhat to incude the cataclysmic circumstances that creates New Pittsburgh, so things are similar but different in some crucial ways. That helps to set up the steampunk, and also to create some long-standing opponents. VENTRELLA: Will this be an ongoing series and if so, do you see an ending to the story? MARTIN: Each book is self-contained, but we plan more novels and novellas/short stories set in the world of New Pittsburgh. We’ve done spin-off stories featuring the government agents from the Department of Supernatural Investigation that you meet in the novel, and we call those the Storm and Fury Adventures. 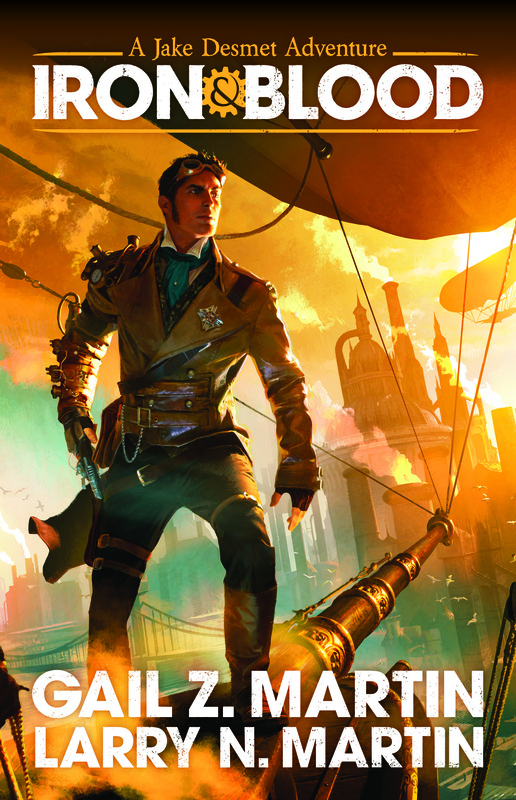 One of those stories is in Clockwork Universe: Steampunk vs. Aliens anthology (Airship Down). Another one is in the upcoming Weird Wild West anthology (Ruin Creek), and we just released Resurrection Day as a short story on Kindle/Kobo/Nook. There will be a new novella on Wattpad (Grave Voices), and stories in the upcoming Unbound corset-themed anthology, the Alien Artifacts anthology (currently on Kickstarter from Zombies Need Brains, LLC), and even a super-villain steampunk story in The Side of Good/The Side of Evil from eSpecBooks. VENTRELLA: What are your favorite steampunk stories? MARTIN: Jules Verne, shows like Wild Wild West, and of course the Books and Braun series by Tee Morris and Philippa Ballantine. Steamboy, The Rocketeer, even the new Sherlock Holmes movies with Robert Downey, Jr. have steampunk elements. VENTRELLA: Let’s talk about Deadly Curiosities. Where did the idea for this originate? MARTIN: I went to a conference in Charleston and fell in love with the city. It had so much character, so much of a past, and was so haunted—I couldn’t believe someone hadn’t already set an urban fantasy series there. So I immediately began brainstorming with Larry and my teenagers to come up with the bones for a series that would feel intrinsically like Charleston. 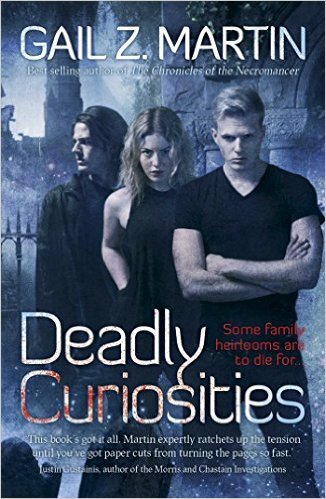 VENTRELLA: Will there be more Deadly Curiosities books? MARTIN: VENDETTA, the second Deadly Curiosities novel, comes out December 29, and we’ve got more planned. There are also a growing number of Deadly Curiosities Adventures on Kindle/Kobo/Nook with more being added each month. 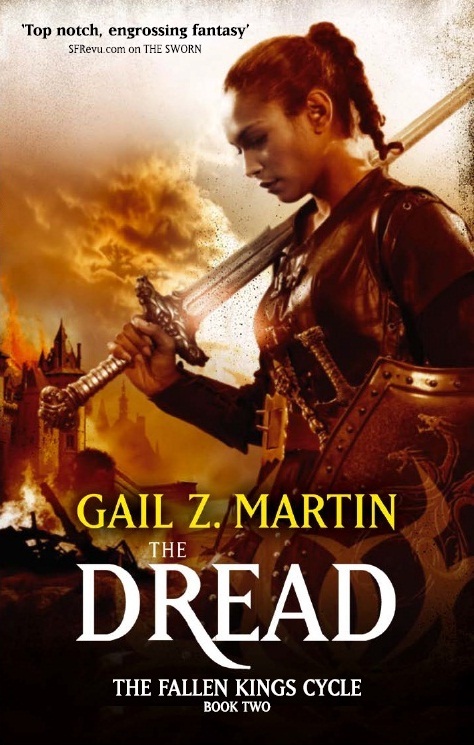 And there’s a free novella, The Final Death, available on Wattpad. VENTRELLA: You began by writing high fantasy, with two separate series. When the Ascendant Kingdoms series is complete, do you see yourself writing others? MARTIN: Oh yes. I’m already planning for a new epic fantasy series—and we’re planning a space series! I’m also bringing out short stories on Kindle/Kobo/Nook from both of my epic series. The Jonmarc Vahanian Adventures short stories will add up to the equivalent of three serialized novels that are prequels to THE SUMMONER, and give the back story of one of the Chronicles of the Necromancer’s most popular characters. 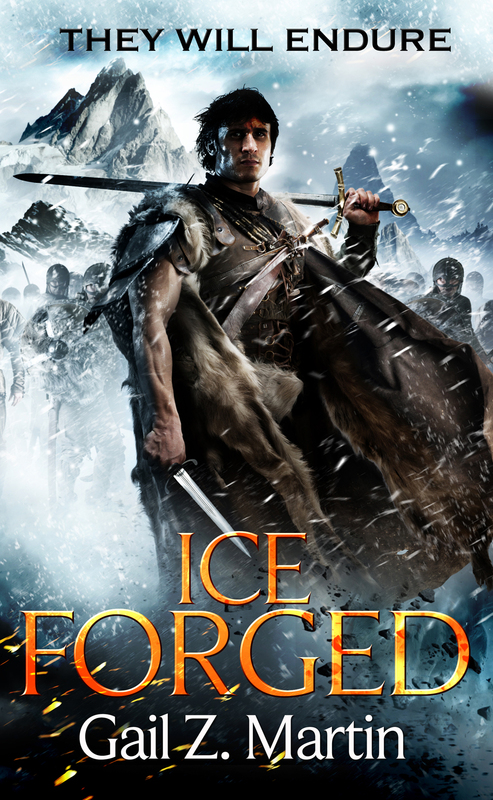 I’ve also just done a short story (No Reprieve) set in the Ascendant Kingdoms world that takes place in a six-year gap of time we skip over at the beginning of ICE FORGED, when Blaine McFadden is sent to an arctic prison colony. It is due to come out on Orbit Short Fiction in October. I’m planning a series of novellas filling in that six-year gap as convict/colonist. VENTRELLA: Which of your series has been your best sellers? MARTIN: I’ve been fortunate to say they have all done well, but I think there’s a lot of fondness for the Chronicles of the Necromancer series from readers. They keep asking for more books about those characters, and I do have 6 more planned that will get written at some point. VENTRELLA: Is there one that you prefer? MARTIN: It’s like asking which of your children is your favorite! They’re all special in their own way. VENTRELLA: It is easy to fall into cliches when writing fantasy. How do you avoid being too predictable? What is it about your fantasy novels that make them stand out? MARTIN: I try to either pick an angle on a story I haven’t seen before, or a twist in the circumstances or setting that makes it new. Or I try to come at something key to the story—like magic–from a different angle. So in the Chronicles of the Necromancer series, it all started with the idea of a necromancer as a good guy. 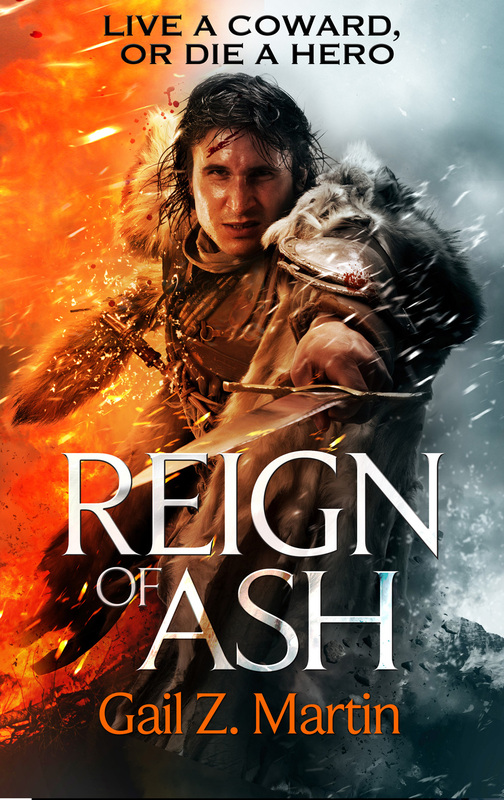 And in the Ascendant Kingdoms series, it was about a post-apocalyptic medieval world where magic was a casualty of war. They say that only two stories actually exist: 1) a person goes on a journey or 2) a stranger comes to town. (And someone pointed out those are the same story from different perspectives.) So I look for how to make it fresh and different. And while fantasy has its tropes and archetypes, there is plenty of room to play with them, switch things up, do the unexpected. VENTRELLA: Let’s talk about promotion. You have a background in this, and have done many workshops and panels about it. What is the best piece of advice you would give an author wanting to promote their book? MARTIN: Build relationships. Promotion is nice, and it’s essential, but the sales and publishing opportunities will come through the relationships you build with readers and other professionals. And oh yeah—social media is not a fad. You need to be out there consistently. VENTRELLA: Tell us about your advice books. MARTIN: “Advice” books sounds like help for the lovelorn! Actually, they are books on social media and promotion. 30 DAYS TO SOCIAL MEDIA hit several bestseller lists and got a lot of ink in publications like The Washington Post and Worth magazine. There are also two more 30 Days books on PR and on Productivity. I tried to make everything really simple and quick for people who didn’t have a lot of time but wanted results fast. There are also three books on book promotion. The first one, LAUNCHING YOUR BOOK WITHOUT LOSING YOUR MIND, is about preparing for a book launch and what do to leading up to the launch and during and after the debut. The other two books are on online promotion and social media for authors. I tried to take what had worked for me, break it down and make it easy for other people to put it to use, minus the stuff I tried that didn’t work! MARTIN: I don’t remember a time when I wasn’t making up stories, even when I was a little kid. When I was five years old, I got my grandmother to write down a story I made up about a vampire. When I was a teenager, I started to write fan fiction about my favorite TV shows and movies, and my friends liked the stories enough they bugged me to write more. That’s how I discovered that I could entertain people with my writing. MARTIN: I think some people have a real gift for storytelling, especially if they have grown up in a family or community that values and demonstrates creating and telling stories. That’s especially true when people grow up hearing books read aloud dramatically or hearing family members tell tall tales as a form of entertainment and expression. Everyone benefits from learning technique. The point of technique isn’t to suppress your voice; it’s to help you use your voice in the best possible way. To that end, I think that someone who is sufficiently motivated can hone their abilities to write well. Will that make them a bestseller? Who knows? MARTIN: I outline more than I used to, because doing three books a year plus short stories plus anthologies, there’s no time to go down blind alleys and start over. I can write faster with an outline, and I’m less likely to hit a dead end if I know what comes next. I can still sometimes get stuck for a bit figuring out how to actually write a chapter from that few sentences of outline, but it does help. MARTIN: It depends. It’s been different with each book. For the Chronicles of the Necromancer, I really had the characters of Tris and Jonmarc first and built the world and plot out from there. With Ascendant Kingdoms, I had the idea of a post-apocalyptic medieval world with broken magic, and built backwards from that. With Deadly Curiosities and Iron & Blood, it was the city setting that shaped everything else. MARTIN: Don’t try to be someone else. What works for someone else probably won’t work for you if it doesn’t come naturally. It doesn’t mean that you can only write characters who are just like you or that you’re limited to experiences you’ve actually had, but even as you create characters who are very different or situations that are very different, there’s probably a thread of commonality with people you do know or things you have experienced that tether it to real life. MARTIN: Try to make them as short and painless as possible. Even if you’re doing them in conversation or it’s explaining something to the new kid, keep it short. If at all possible, show something unfamiliar being done in a way that the reader can intuit for him/herself from context clues what is going on. MARTIN: At that point, we’re looking for places where the pace slows down, for contradictions and continuity errors, for plot holes and places that need to be fine-tuned. MARTIN: I think it’s due to a couple of things. First, we are living out the science-fiction fantasies (and nightmares) of previous generations. The Internet, cell phones, satellites, drones, WiFi, computer systems in cars, space probes to Mars and the rest of the solar system—it’s the stuff SF writers were speculating about and it’s real life now. So I think people are a harder to ‘wow’ than they used to be. Also, where previous generations could be blown away by the idea of spaceflights and computers, the next generation of ‘wow’ is a lot harder to explain—singularities, chaos theory, quantum mechanics, string theory, etc. These things are profound and really mind-blowing, but they aren’t necessarily as visual as a rocket ship or a ray gun, and they require a reader to take the time to learn something and maybe even math a little. Finally, I think that SF continues to feel less welcoming to women, people of color and people of different sexual orientation. Hard SF about the ‘future’ tends to show fewer women and less diversity than the real US Military nowadays! Certainly we’ve made strides with the women/people of color/LGBTQ people who are writing SF and going into STEM careers and actually becoming astronauts and physicists, etc., but I think the status quo still seems entrenched in hard SF (recent kerfluffles notwithstanding)—more so than in fantasy. The ‘future’ envisioned by a lot of hard SF looks an awful lot like the current status quo, only with cool background sets and robots. Urban fantasy is a lot easier for people who may be relatively new to the genre to get into because it has one foot in the real world and so requires less explanation and less suspension of disbelief. And I think we’ve seen a lot more diversity of characters in urban fantasy and a growing effort to tell more diverse stories in epic fantasy beyond the standard Western European setting. People like to be able to see themselves in stories. MARTIN: I think it’s entirely possible to put out a very good book and reach a large audience with a well-produced and well-written self-published book. And I think most authors in the future will have hybrid careers writing for a mix of large traditional publishers, small presses and their own self-published work. But succeeding at self-publishing requires more time, effort and money than going the traditionally published route, and people need to realize what they’re getting into. You can’t do it half-way and make it work. MARTIN: I think small presses are doing really exciting things. They are picking up the slack where large publishers are cutting back on new books and anthologies, and doing very well at it. They are experimenting with new models like Kickstarter funding. I’ve always thought it was ridiculous that large publishers have a business model based on gambling on finding a few bestsellers instead of on the steady productivity of a solid, groomed and nurtured midlist. The current publishing model is more like horseracing than business. I think that small presses will figure out a way to make viable margins on books that sell well but aren’t million-copy bestsellers. And I think that will be a game-changer. MARTIN: One of my professors in college blew up at me when I said I wanted to write books. He said that he had never been able to get published, with all his experience and credentials, and so how the hell did I think I would get published! (To make it worse, he was the college chaplain!) And now he’s long-ago passed away and I’m published. So there. MARTIN: David Drake told me to stick with it and gave me the low-down on how the business actually worked. MARTIN: Everything takes longer than you think it will. Stick with it. Just because it hasn’t happened yet doesn’t mean it never will. MARTIN: I just finished the Harry Dresden series by Jim Butcher, and I’m finishing up the Nightside series by Simon R. Green. And I always post the books I’m reading on Goodreads! MARTIN: We’re finishing up edits to VENDETTA, which is the second Deadly Curiosities novel that comes out in late December, 2015. And the edits to SHADOWED PATH, the Jonmarc Vahanian anthology coming in June, 2016. 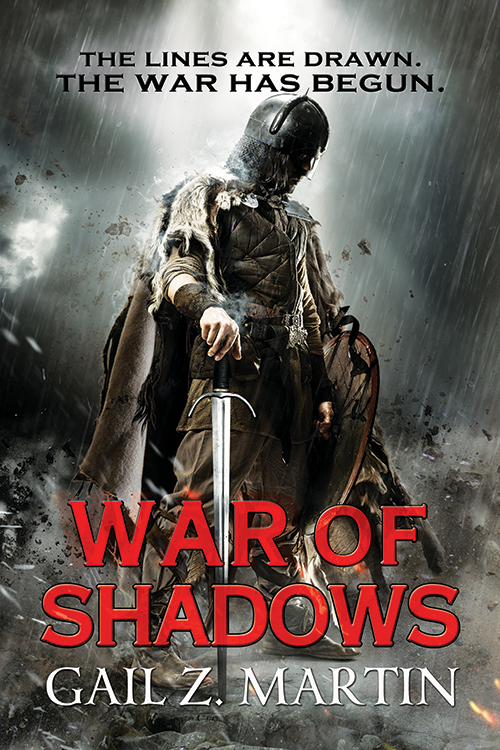 The fourth and final book in the Ascendant Kingdoms Saga, SHADOW AND FLAME, comes out in March, 2016. In November 2015, the WEIRD WILD WEST anthology will launch at Philcon, with our steampunk story in it, “Ruin Creek.” THE SIDE OF GOOD/THE SIDE OF EVIL superhero/supervillain anthology with our story in it is also supposed to come out at the end of this year. And we will owe a story to ALEIN ARTIFACTS, another new anthology, plus there are a few more anthologies in the works. And we bring out a new short story every month on Kindle/Kobo/Nook in one of three different series (tied into the books). Plus a new Blaine McFadden short story, No Reprieve, coming out on Orbit Short Fiction in October, and a set of novellas set in the world of the Ascendant Kingdoms coming soon. Busy, busy! 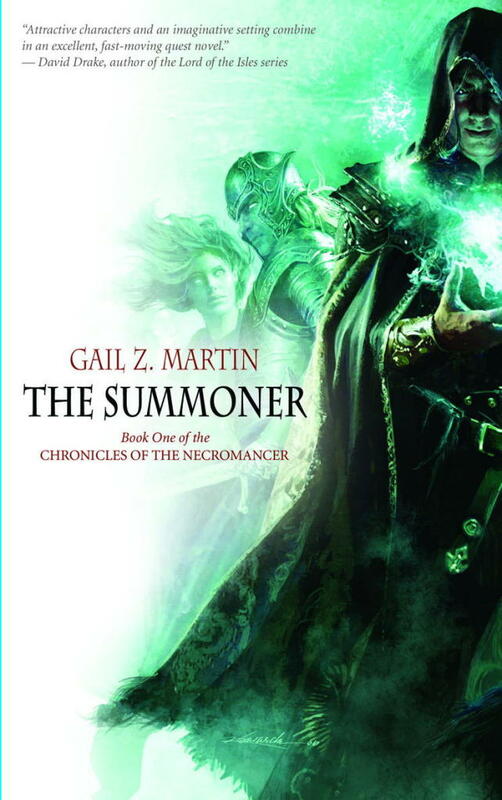 I loved Chronicles of the Necromancer and I am really looking forward to the other books by Gail Z. Martin! Thank you for this great interview!